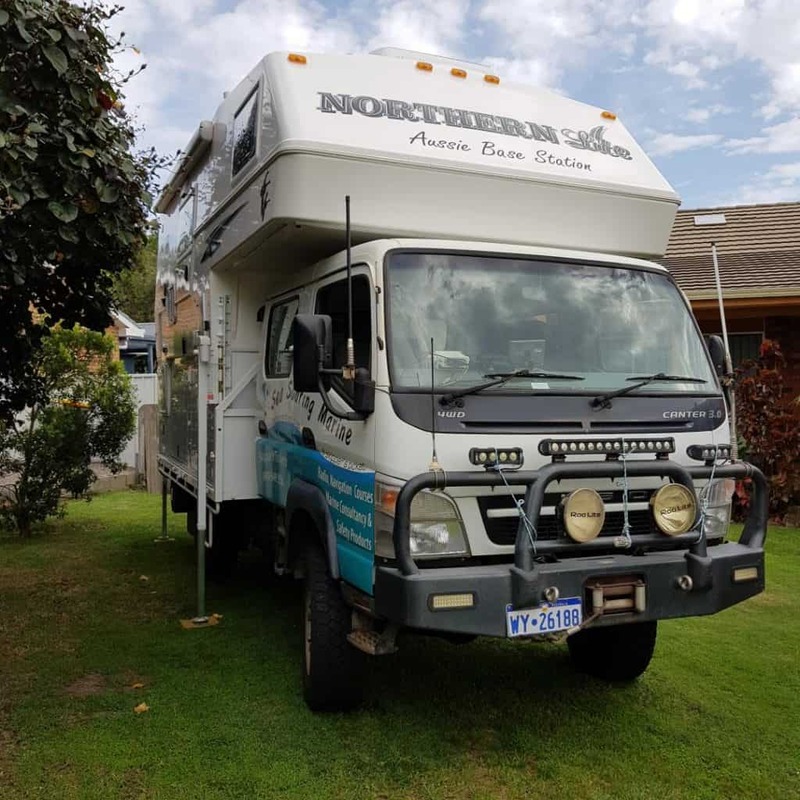 Now I have been a little quiet about my new Northern Lite slide on truck camper of late and that was because the custom built undercarriage and storage section to fit on my Mitsubishi Canter was not quite ready when I arrived in NSW a month or so ago. To cut a long story short, the builder was extremely meticulous about the welding, framework and swinging doors and so more time was needed. One thing you learn when you are buying a quality item, is you don’t really want to rush people and have them take short cuts. So I left the truck with my family over east and flew home to sort life. As I write this article I have just been sent a photo ( see attached ) of the finished product perched on my truck ( you beauty ) and now happily planning the flight and road trip back across the country. The first trip across the ‘nulla’ was with my son Jay and at the start of the journey, my two sisters, Colleen and Sharryn, set up a family facebook page to keep everyone updated, titled Desert Donkeys. Now the history of the word Donkey, as one of my endearing terms for friends, is too lengthy to explain, so let’s just settle on it being descriptive for anyone who makes a mistake or you just want to give them a serve. If you say it right and add an ‘eeyore’ ( with the ‘ee’ in high pitch and ‘ore’ low pitch ) after it, it usually has the desired effect. Now that Jay is literally in another world, managing a surf camp resort in Sri Lanka, this donkey just ain’t available for the return trip. As luck would have it, the two who set up desert donkeys in the first place, Colleen and Sharryn, are very keen on this return trip. Neither of them have driven across the country, we get on extremely well and although neither of them have a truck licence to assist with the driving, I reckon the entertainment and laughs will keep me wide awake. But the only problem is, all three of us have a streak of OCD ( don’t we all ) and so now that they have confirmed they are doing the journey, the emails with lists have been going frantically back and forwards. Of course, being originally setup for a trip back with two people, as opposed to three, has meant a few additions to the stores, but nothing that can’t be overcome. And, oh how our dear mum and dad, Bev & Jack, are smiling down from above, for not only were they the Queen and King of checklists, but they would have dearly loved the road trip themselves. Never mind, for we have retained some ashes to spread beyond Broken Hill, or wherever the mood takes us.